We provide a rich and loving environment designed to care for children from birth through two and a half years old. Each week our toddlers learn about simple biblical truths through a song, short bible story and games. Parents can rest assured that their babies and toddlers are receiving stellar care in a safe environment. Children in preschool through kindergarten have an active and exciting time, and experience the truth about what a relationship with God looks like. Each week we watch a video, listen to a bible story and do an activity. Our goal is to let each child know how much God loves them and that Jesus wants to be their friend forever! 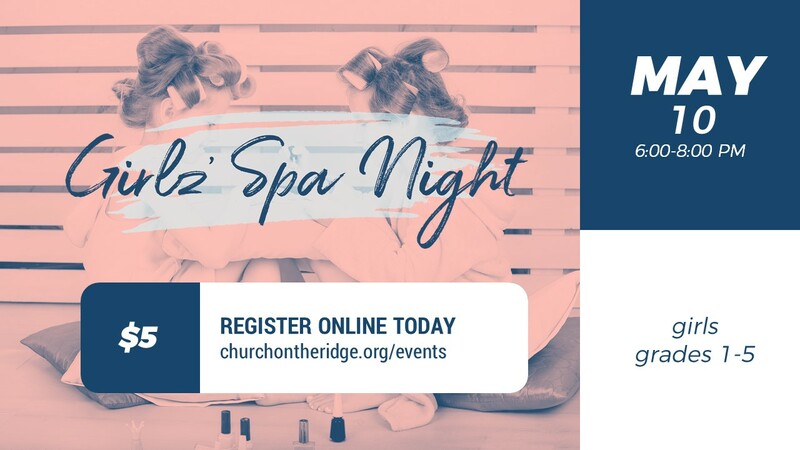 Looking for Kids on the Ridge Weekday Preschool? Look here. Students in grades 1 through 5 dive into a creative environment where they feel comfortable, accepted, and want to return. Each week we sing worship songs, watch a skit, and divide into small groups (by grade) to talk about the BIG ANSWER. Join us every Friday during the school year from 9:00-11:00 AM on the playground upstairs in the preschool area. Do your volunteers have background checks? Yes, for children in preschool up to kindergarten (we are nut-free). When does Kids on the Ridge (KOTR) meet? KOTR meets every weekend during all gatherings. What learning methods do you use? Through engaging stories, we teach each group of children the truths of the Bible and ways they can apply them to their daily lives. Does your student have what it takes? Drop of your boys (grades 1-5) off for a night of epic Nerf War battles. 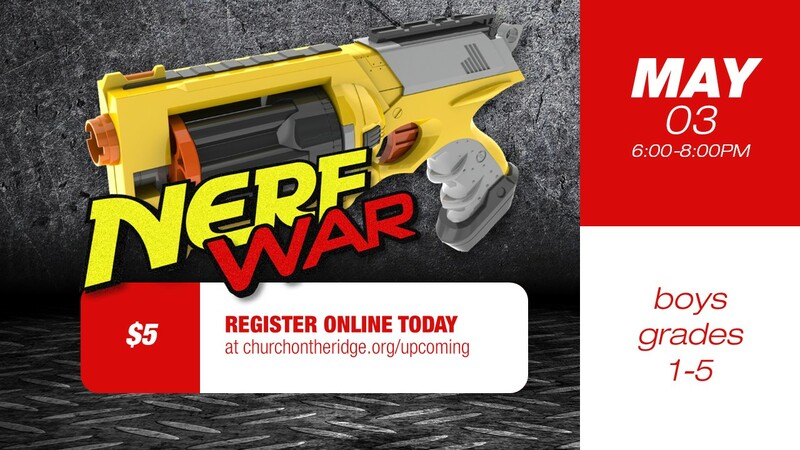 Bring a Nerf blaster for your student and encourage them to invite their friends. Your student won't want to miss this!